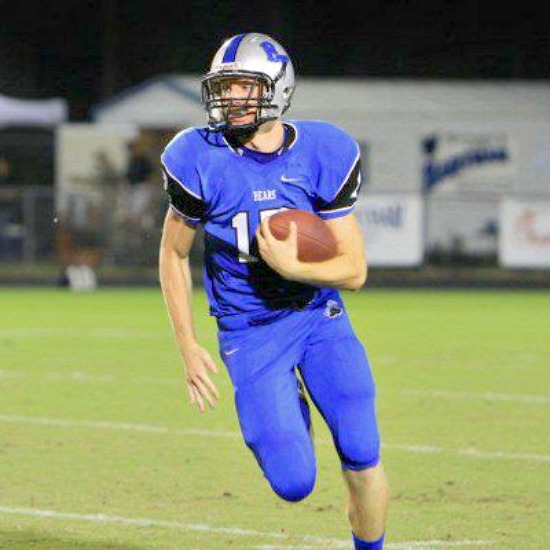 Aubrey, always an outstanding athlete, played quarterback and tight end for his Class 6A high school. It was the third Wednesday of October, the day many high schoolers across the country were taking the PSAT. Aubrey Thompson — a strapping 6’ 4” high school junior, enrolled in a slate of honors and AP classes and a starter in three varsity sports at his Class 6A high school — didn’t have to be at school until noon. On this crisp fall morning, he set his backpack and lunch bag by the backdoor and hopped into his neighbor’s truck. They met another friend in his car and began to race on a lonely stretch of road near the high school. As the truck reached speeds estimated at 100 miles per hour, the truck flipped, crashed and Aubrey – unbelted — was thrown from the truck. Aubrey’s mom, Sherri, was teaching her 5th graders at another school in the county. She got a phone call that Aubrey had been in an accident and to come to the ER. Knowing she had to make the hour drive to the hospital, she wasn’t told the nature or severity of the accident. Driving to the ER, her thoughts racing with fear and what if’s, she began to talk to God. Aubrey’s very birth had been a miracle. She and her husband, Jim – a former Florida State University offensive tackle — had tried for 10 years to have a child. After years of infertility tests and treatments, they were finally advised to pursue adoption. They did and adopted their first child, Michael, when he was 3 years old. “I said, ‘Thank you, God. I am content. I have everything I could possibly want,’” Sherri recalled. 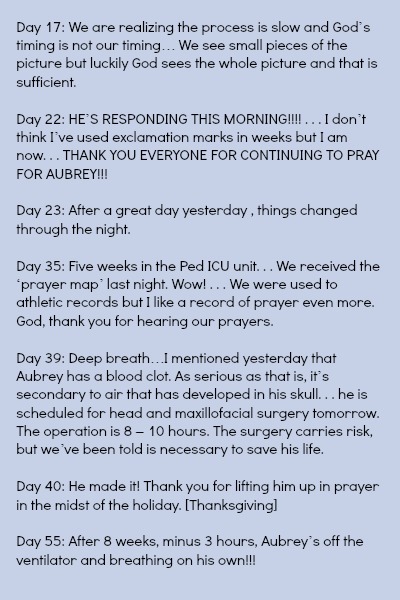 Hundreds of friends visited and prayed as Jim and Sherri spent months at Aubrey’s side in the ICU. God wasn’t done with miracles in the life of Aubrey Thompson. The first person on the accident scene was a Mayo Clinic nurse who kept Aubrey’s airway open until the emergency crew arrived. Another was the police officer who directs traffic at their church every Sunday. 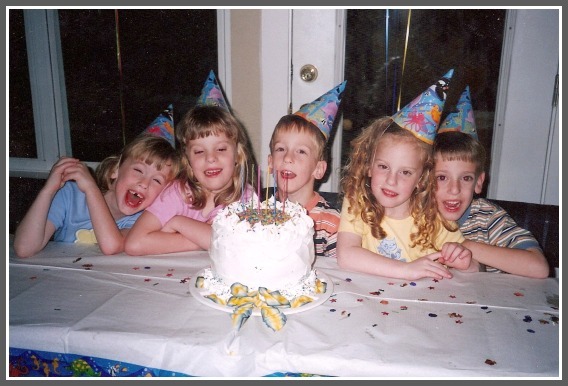 When Sherri arrived at the ER with Jim, she knew immediately Aubrey’s accident was critical, as more than 20 friends had already gathered to be with them. 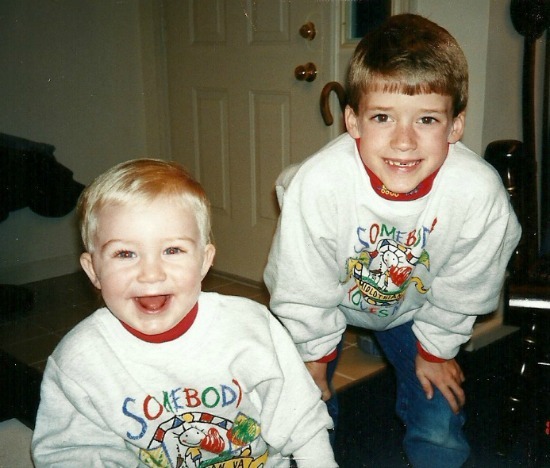 The two neurosurgeons on call that day gravely reviewed Aubrey’s CT scans. Though they did not tell the parents at that time, they said it looked like the scan of a dead person. Because it appeared that there was no real chance of survival, the neurosurgeons planned tell the Thompsons that Aubrey would be declared dead. But they never got to that point. Instead, they agreed to put Aubrey on life support for one night and then make a decision. 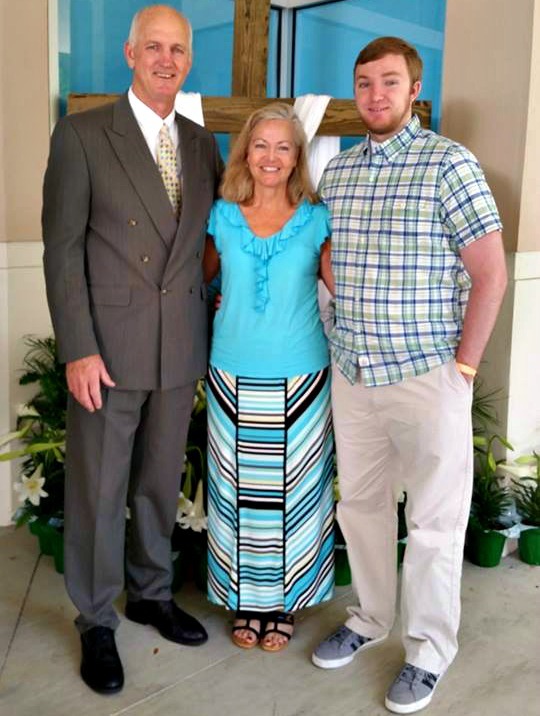 “Keep him on life support because everyone is praying,” Sherri and Jim told the neurosurgeons. The doctors didn’t think Aubrey would make it through the night. He did survive and over the next weeks and months, the Thompsons daily saw God’s mercy and miracles. While Aubrey had shattered every facial bone, not one of his other bones was broken. And he could move all of his limbs with no paralysis. As the Thompsons spent days and nights next to Aubrey in the hospital, the community rallied. Hundreds of students gathered at his high school for daily prayer. Students gathered to pray at schools as far as Texas. Rival teams prayed for Aubrey and wore his number in games. Teens came to visit and pray with him at the hospital. Just as Aubrey reached a point of great progress and stability, the unthinkable happened. Sherri and Jim decided to finally go home to sleep. During the night, Aubrey aspirated and had to be resuscitated several times through the morning. His oxygen level plummeted, he went back on the ventilator and progress from the long surgery was lost. “What God does in us while we wait, is as important as what we’re waiting for,” Sherri wrote as they continued hoping for improvement. She says God gave them enough faith for each day. Though they knew Aubrey was facing months of difficult hurdles, they couldn’t “worry ahead” because God gave them faith for that one day. 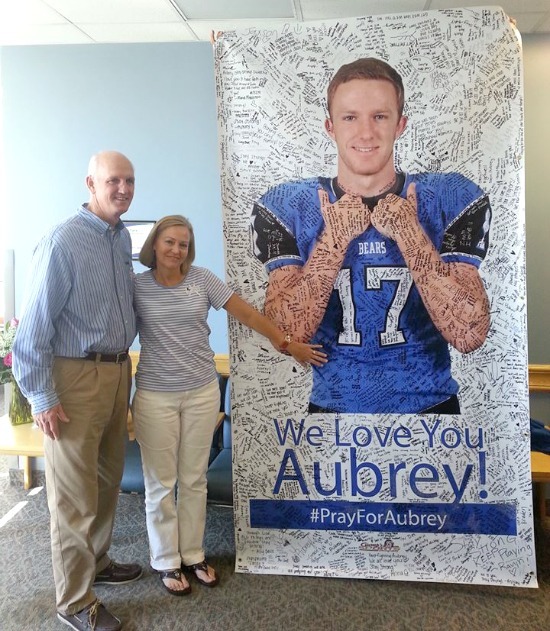 Aubrey did improve and transferred to a long-term rehab hospital. He had lost 75 pounds and all memories of the accident and the hospital stay. Aubrey said when he left with his friends to race on October 16, he thought he’d be home in 15 minutes. 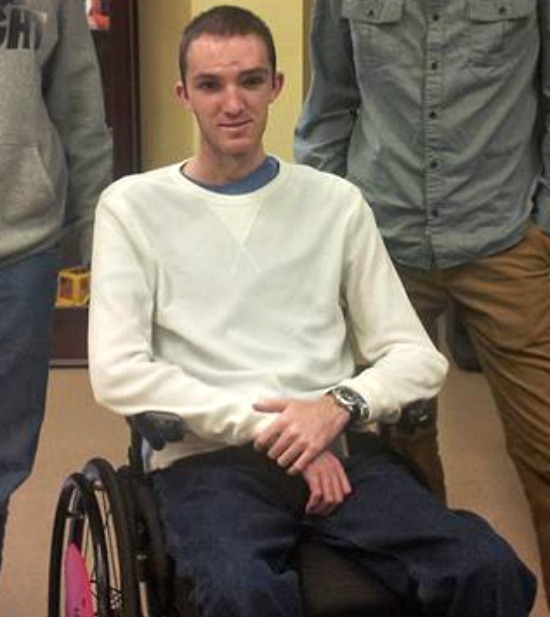 He returned home 159 days later, as schoolmates were celebrating spring break. Aubrey had lost almost 75 pounds as he moved to rehab. And how is Aubrey today? He has some permanent optic nerve damage in one eye but remains on only one medication. 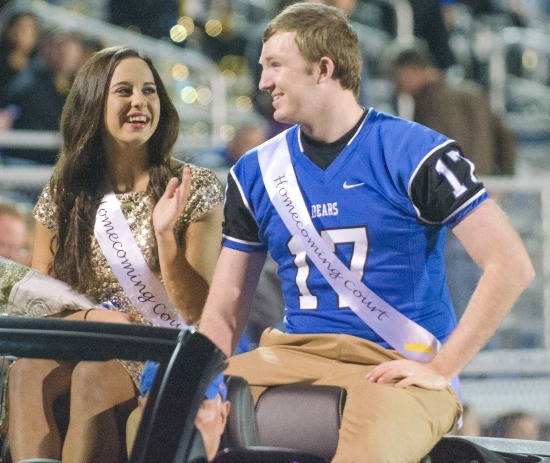 He worked through the summer to catch up on his classes, went to prom and was on the homecoming court. And this week, Aubrey will walk the graduation stage along with his senior class. His parents said he has never complained and is incredibly positive. “God saved me from this terrible accident, I can honestly say that,” Aubrey says. “I just can’t imagine somebody going through what he went through and having an attitude like that if it were not for the presence of God in their life,” says his dad, Jim. I write to encourage others and tell of God’s goodness. If you’d like to know when new posts are up, subscribe at the top of this page or like the Facebook page. I hope you are encouraged this week! This week is so mixed for so many. While many will celebrate this week, many others will suffer through with ache and emptiness — from miscarriages, a mother’s death, a child’s death or infertility. Today, I welcome the story of a dear friend, Denise, who has walked through both heartache and celebration and would not give back one day of either. Denise always dreamed of being a mom. While others were preparing for careers, her heart was set on being a mom. But it didn’t come easily. She went through many painful years of doctors’ appointments and fertility treatments. Those years also held great spiritual fruit, however, and she would later see all that God was doing in her heart to prepare her for a great work. Denise had a storybook childhood, growing up in a loving and secure Christian home with no real worries. She met her husband, John, at church and they began dating after high school. After his college graduation, they had their dream wedding and moved into a cute little house. Life was clipping along comfortably as planned. Until John lost his job. For 6 months, John could find nothing locally but was finally offered a job three states away. 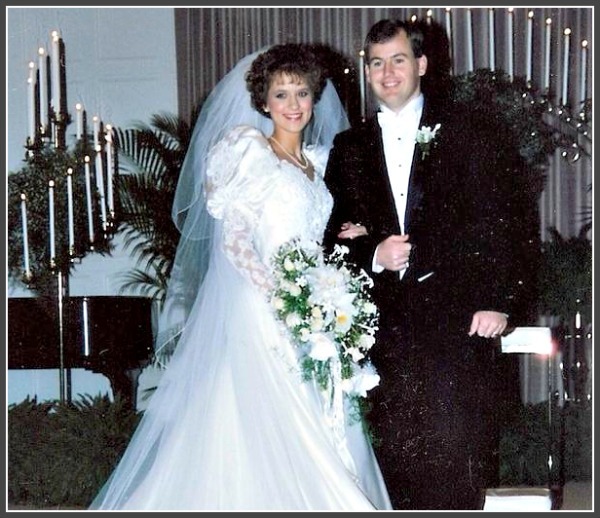 Crushed at having to leave her family, Denise begged God for Plan B. But she knew this job – and the move — was from God and so off the young couple went. Denise was miserably homesick and cried every day for months. She was also actively trying to get pregnant and although she never said it out loud, Denise said she felt God should compensate her obedience in moving by letting her get pregnant. “I thought, if God would just give me a baby I’d be happy in Charlotte,” Denise remembers. God owed her this. But as months turned to years with no pregnancy, Denise became preoccupied by worry and what if’s. She desperately prayed for a baby. She wanted to trust God – she knew she should. But she clutched her desire for a baby so tightly that it was difficult to trust what God may have for her. What if God didn’t give them children? In the hard years: Denise’s smile hides her deep pain. Delight yourself in the Lord and He will give you the desire of your heart. Her heart desired a baby. Oh, how she wanted to please the Lord so that He would give her this heart desire. “I thought going to church and doing all the right things was delighting Him. I wanted a baby no matter what, even if God didn’t want me to have one,” Denise recalls. Despite desperate prayers, God did not change her circumstances. God changed her heart. But God was doing much in these 5 years and the very move that Denise had wrestled against. Away from their families, she and John forged a strong marriage. 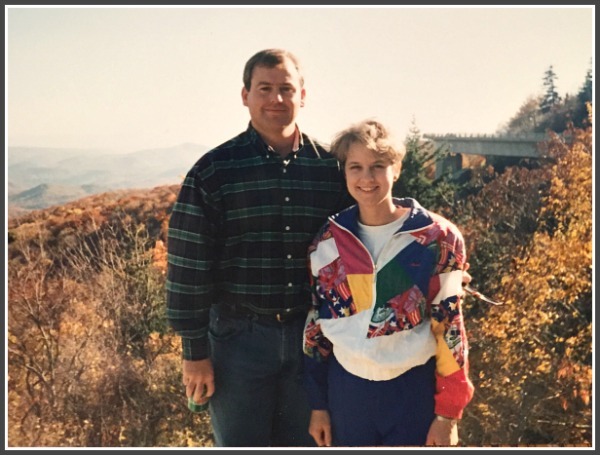 Denise says moving was the healthiest thing that could have happened to their marriage. 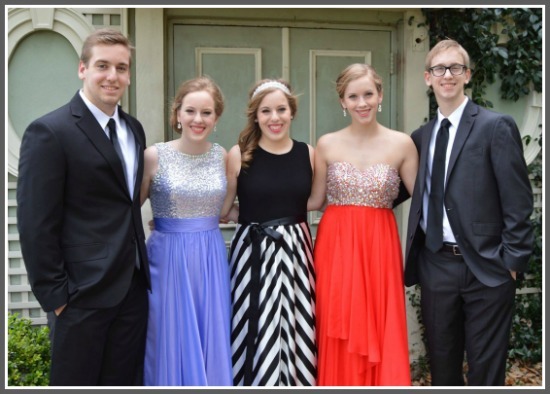 They also grew to love their church family and formed lifetime friendships. And God led them to a Christian infertility specialist in Charlotte who was as much pastor as doctor. His prayer, counsel and resources proved invaluable. One day, Denise got a call from the specialist that her bloodwork indicated a possible pregnancy. As she and John watched the sonogram, her doctor studied it quietly. After years of hoping and longing for a baby, countless tests and procedures and her 9th IVI treatment, her doctor announced with incredulity that there were 5 sacs and 3 heartbeats. A week later, doctors confirmed she was carrying five viable babies. Denise wasn’t done learning to trust God. Now she began trusting that God would keep all five babies safe and healthy. But God was already taking care of every detail. One week before they even knew of the pregnancy, John had accepted a job in their hometown. Denise and John would be back with family and countless childhood friends during the high risk pregnancy and after the babies were born. She went onto bed rest at 17 weeks and into the hospital at 24 weeks. “Isn’t it interesting that God took a girl like me with a weak faith, who . . . worried and fretted about everything and struggled with trusting Him and He put me in a position where literally all I could do was lie flat on my back and look up to Him and trust?” At 6 ½ months, Denise developed a life-threatening complication and had an emergency C-section. 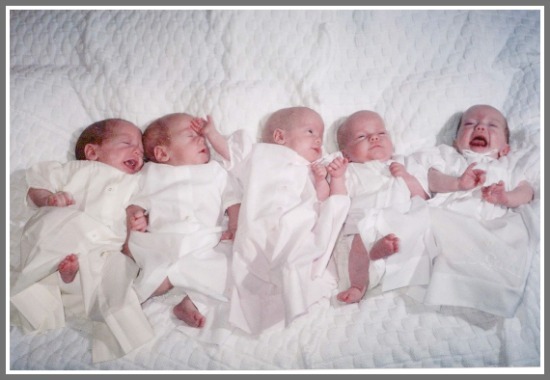 All five babies – Caroline, Grace, Olivia, Ben and Drew – were small but healthy. Five years of waiting . . . five beautiful blessings. She kept a detailed diary of feedings and diaper changes. They spent days in their playroom or backyard. On date nights, John would bring in dinner from Outback after the kids went to bed or they’d all pile into the car and eat take-out while parked in front of a carousel to entertain the kids. Because they didn’t go out much when the kids were little, they spent lots of time together, another grace that drew them close together as a family. 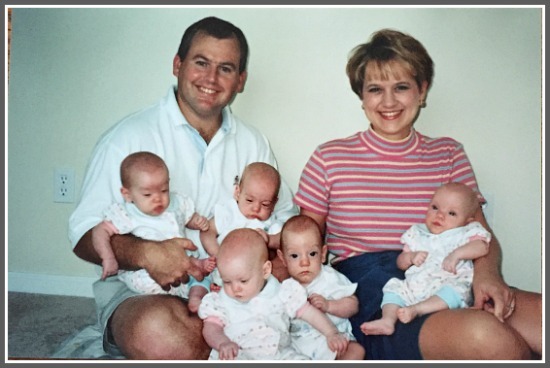 A marriage strengthened by trials prepared Denise and John for quintuplets. Waiting on God shaped Denise to parent with gratefulness and wonder. Denise can now see that God didn’t just use each trial; the trials were God’s goodness to prepare and equip her for the next step. The difficult move to Charlotte strengthened her marriage for years of infertility. 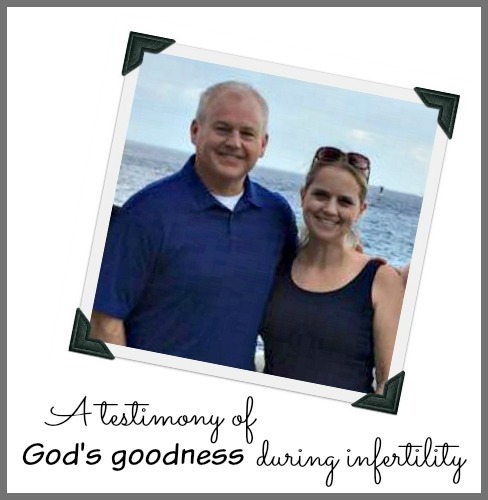 And learning to trust God during infertility helped them trust God during the high-risk pregnancy and as they parented five children at once. “I never get over what God did” Denise shares as she has watched her kids grow and their gifts develop. *If you’d like to know when new posts are up, I’d love for you to subscribe with your email at the top of this page. Thank you!